Congress vice-president Rahul Gandhi today hit back at Defence Minister Nirmala Sitharaman over the multi-crore Rafale deal, claiming it was "shameful" that her boss was "silencing" her. 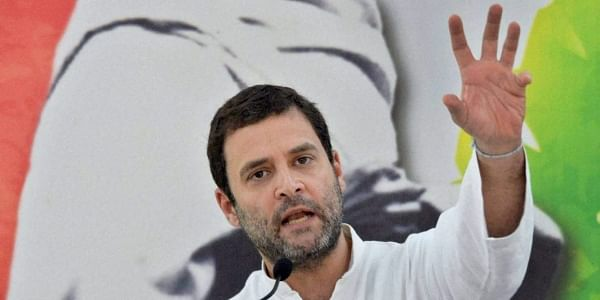 NEW DELHI: Congress vice-president Rahul Gandhi today hit back at Defence Minister Nirmala Sitharaman over the multi-crore Rafale deal, claiming it was "shameful" that her boss was "silencing" her. India had inked an inter-governmental agreement with France in September last year for procurement of 36 Rafale fighter jets at a cost of around Rs 58,000 crore, nearly one-and-half years after the prime minister announced the proposal during a visit to Paris.